Navratri is the Festival of worshipping Goddess Durga who is a portrait of colour, action, music and togetherness. 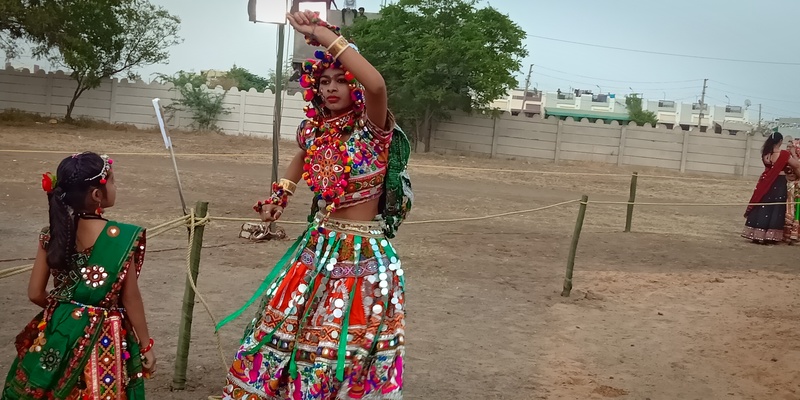 To inculcate the essence of Indian culture and importance of Navratri festival. 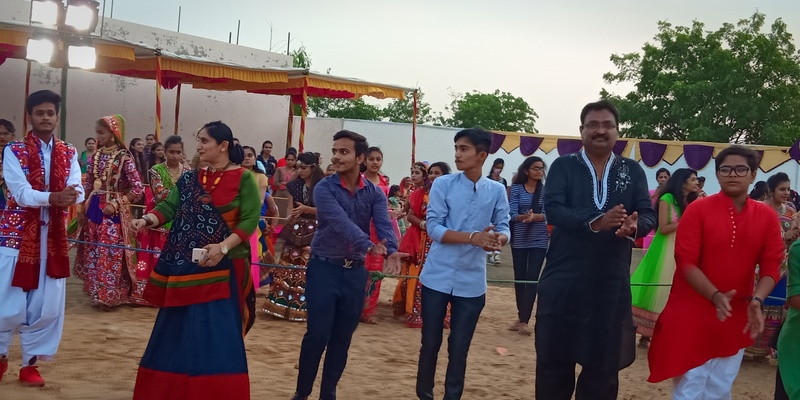 AES had organized NAVRANG NAVRATRI on 11th October,2018 between 4:00 PM to 8:00 PM. 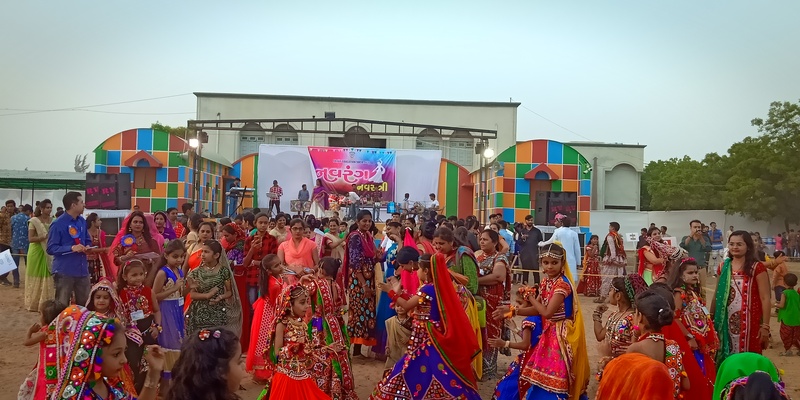 All the arrangements were done before one day and students along with their mothers were invited for garba evening. The celebration started by offering prayer. All students parents and staff (Teaching and Non- teaching) dressed up in traditional attire. 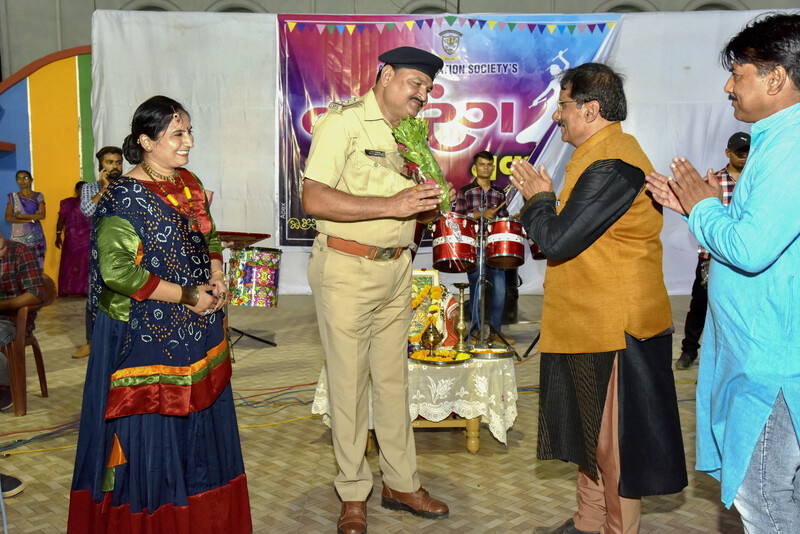 The positivity and energy exuberating out of the enthusiasm of tapping toes to the Gujarati folk, songs and thrilling orchestra. The happiness of students was boundless. 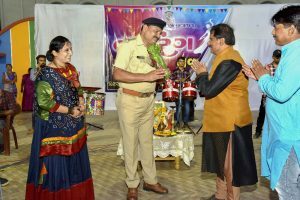 The king on the cake for the children was when surprising prizes were given for different categories like- Best Dress, Best Garba player etc. 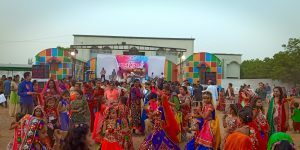 Thus Navrang Navratri celebration was indeed a great event.